Description: Clutch Masters Clutch Kit for the 04-06 Scion xA / xB 16-080-HDTZ. 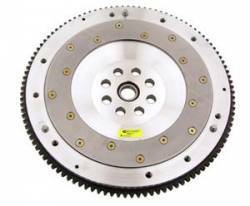 The Clutchmasters Stage 3 Clutch Kit for the 04-06 Scion xA / xB is the perfect clutch for aggressive drivers that still desire smooth engagement w/ segmented Kevlar disc. Description: Clutch Masters Clutch Kit for the 04-06 Scion xA / xB 16-080-HDCB4 . The Clutchmasters Stage 4 Clutch Kit for the Scion xA / xB is the perfect clutch for aggressive drivers who want a street/drag clutch that will hold under pressure!! Description: Clutch Masters Clutch Kit for the 04-06 Scion xA / xB 16-080-HDCB6 . The Clutchmasters Stage 4 Clutch Kit fot he Scion xA / xB is the perfect clutch for aggressive drivers who want a street/drag clutch that will hold under pressure! Description: Clutch Masters Clutch Kit for the 04-06 Scion xA / xB 16-080-HDB4. The Clutchmasters Stage 5 Clutch Kit for the Scion xA / xB is the ultimate clutch for race only applications. This Scion xA / xB clutch is no joke. Description: Clutch Masters Clutch Kit for the 04-06 Scion xA / xB 16-080-HDB6 . The Clutchmasters Stage 5 Clutch Kit for the Scion xA / xB is the ultimate clutch and is for full race applications only!! 200-400% over stock and harsh engagement! !